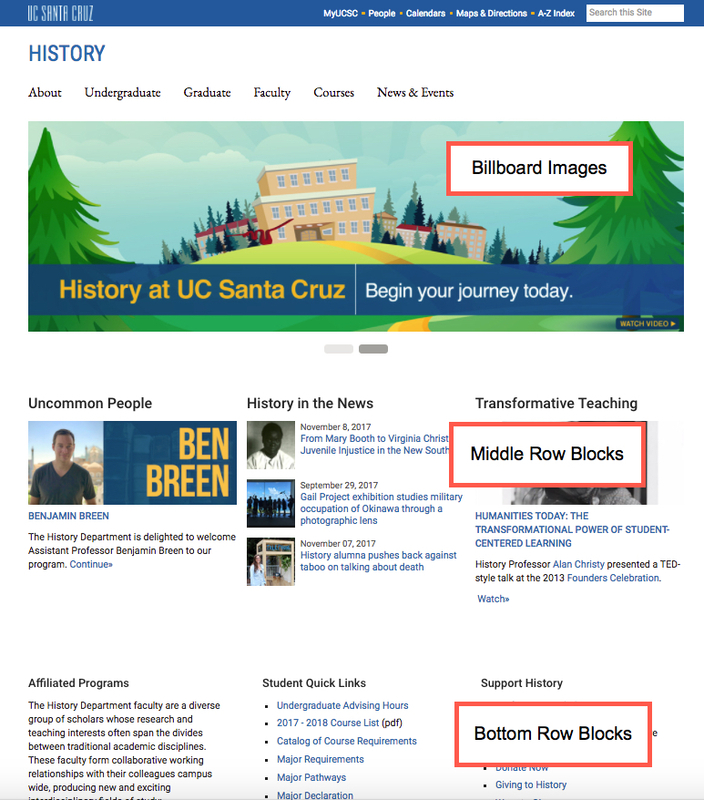 The campus design includes three text blocks at the bottom of the department page and four text blocks at the bottom of a division page. 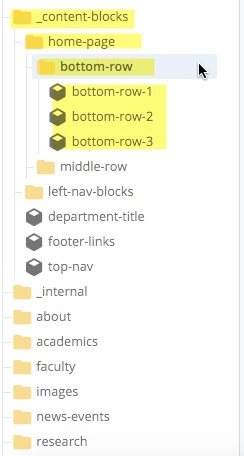 These blocks are in the "_content-blocks" section under "home-page" and "bottom-row" as shown below. 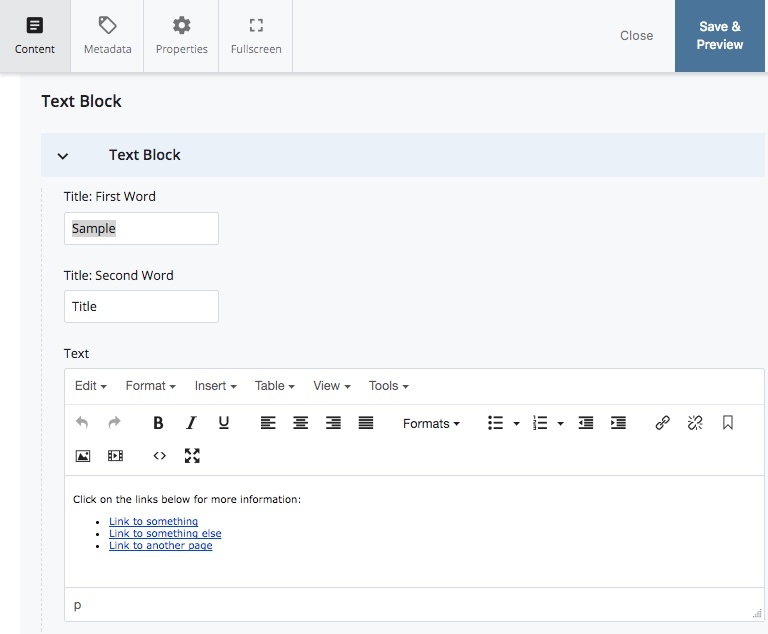 Text blocks are edited using a form that provides a way to specify the title of the box and a WYSIWYG editor for the body of the text box. Bottom row blocks are interchangeable like the middle row blocks. They are static content blocks so just edit the content inside to change them. Changes to content blocks on the home page require a home page (index) page publish. There is no need to publish the whole site and the "content-blocks" folder doesn't publish. NOTE: Images placed in homepage blocks should not exceed 300 pixels in width.